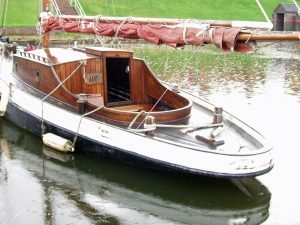 In 1949 David Cheverton entered the Yachting World Design Competition with a vessel called Quiver , he won second prize. 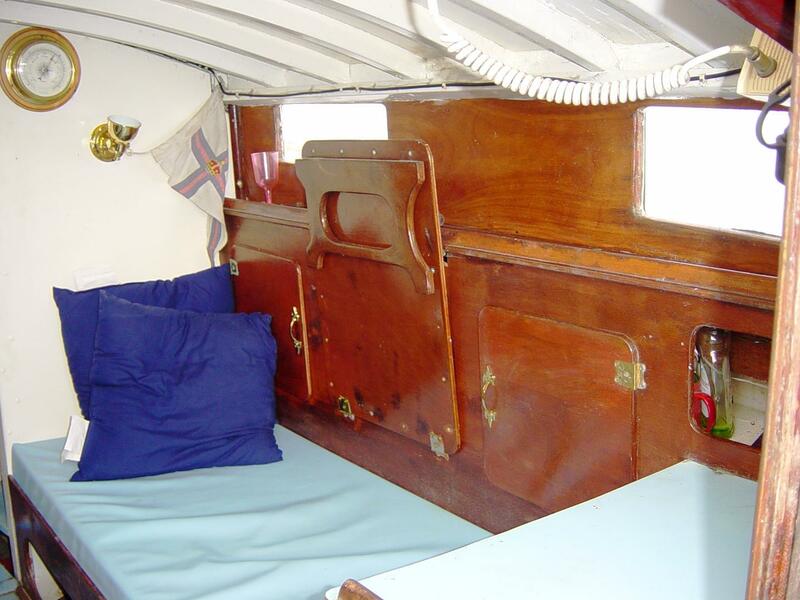 Such was the success of the design David went in to production in West Medina with a limited production run. 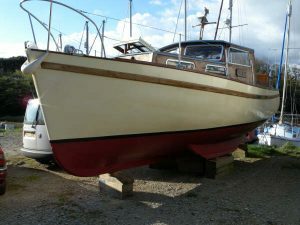 After exhibiting the Caravelle at the 1958 Olympia Boat Show, subsequent Mark 11 and Mark 111 designs were produced. The Mark 1 Caravelle is of conventional carvel construction, African mahogany planked on close spaced steamed oak timbers, through copper fastened in the traditional manner. 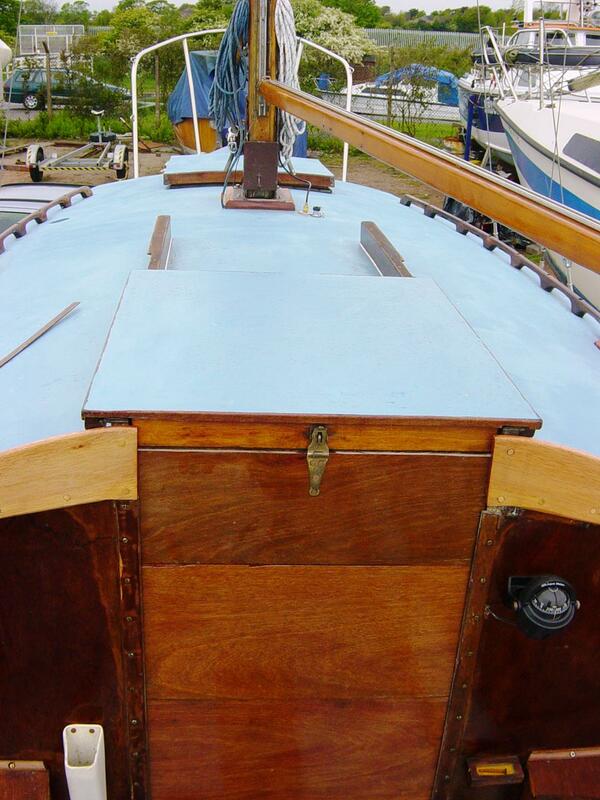 The decks are of sheathed marine-ply with painted mahogany coachroof coamings. 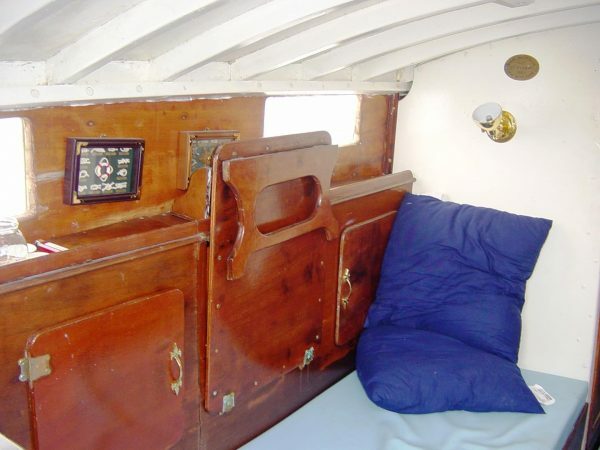 Three Berths in light and spacious interior. 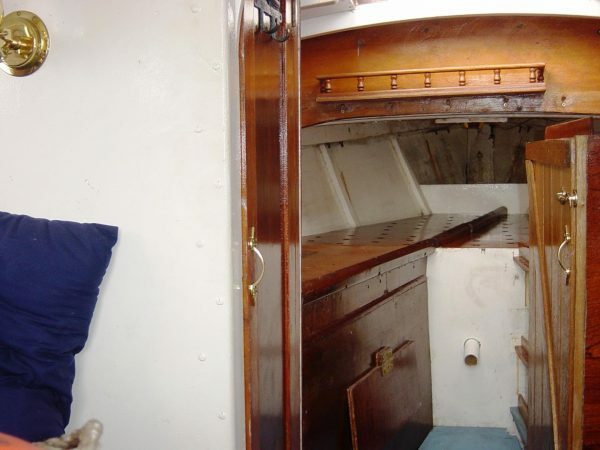 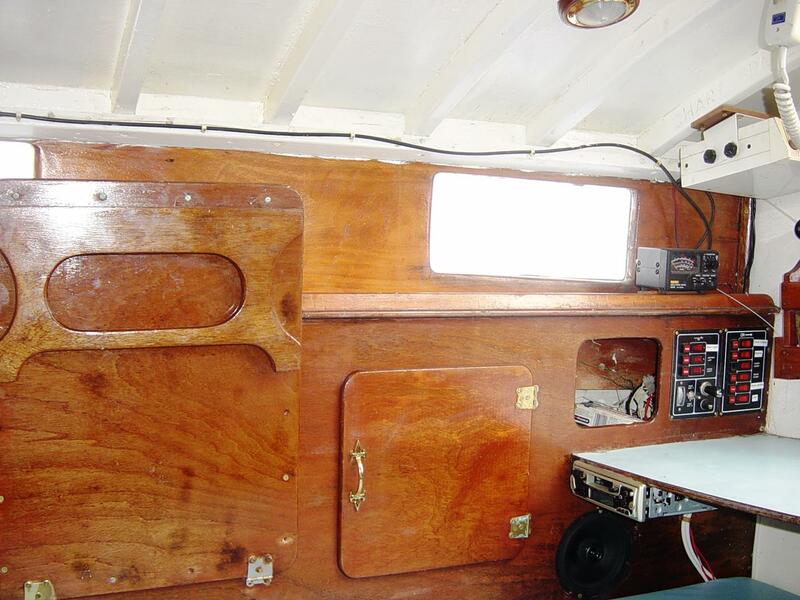 Settee berths, galley and chart space. 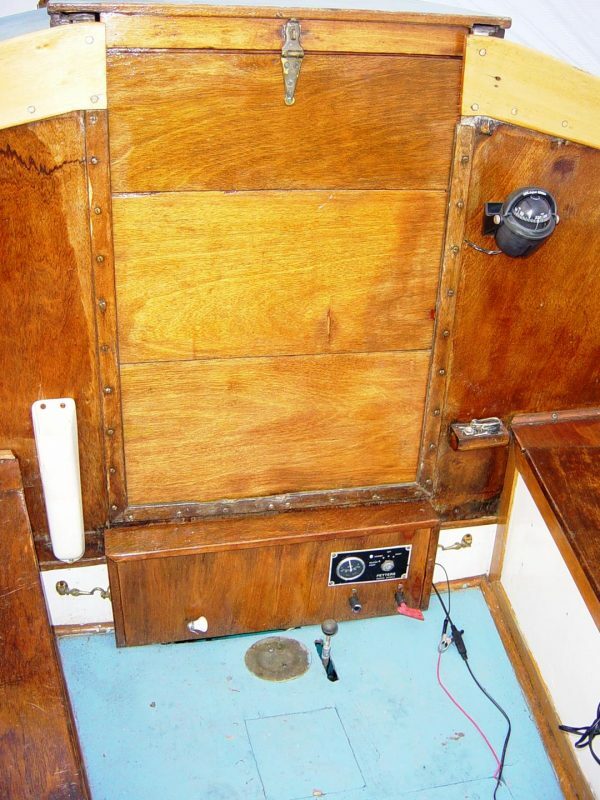 Aft cockpit, tiller steering locker seats. Stern lazarette. 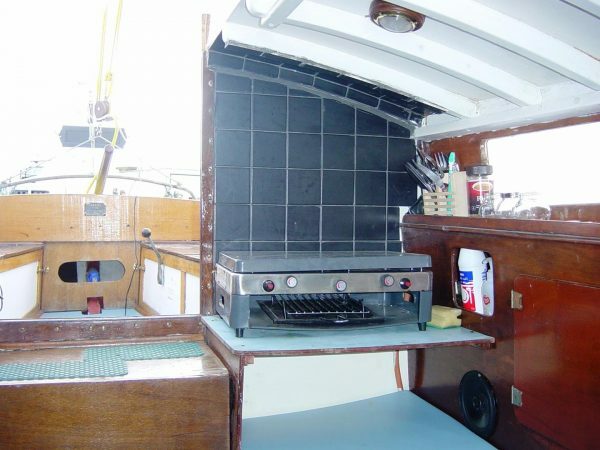 6hp Petter diesel with 20 litre fuel tank. Masthead bermudian rig sets 228 sq ft plain sail. 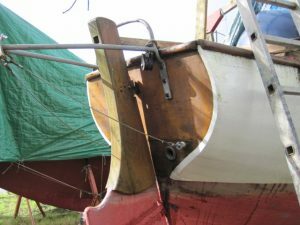 Stainless steel rigging. 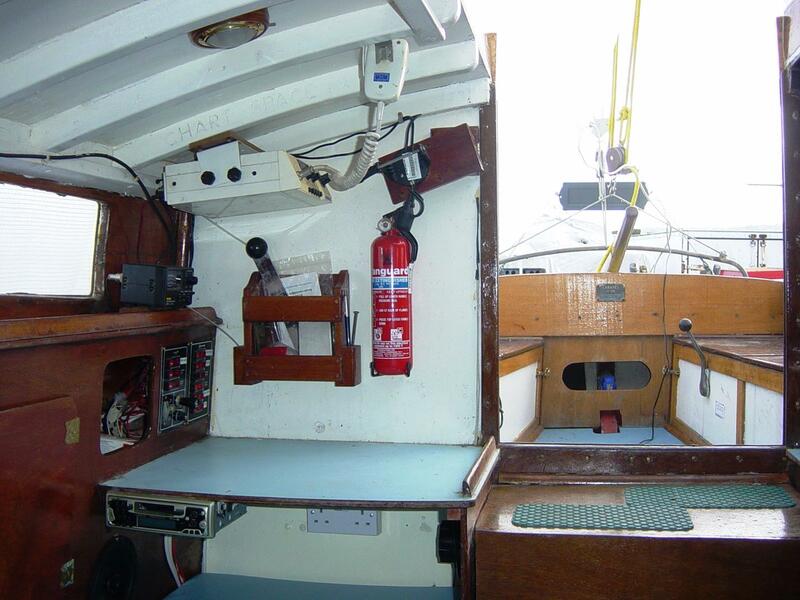 An attractive shoal-draught cruising yacht with proven ability. 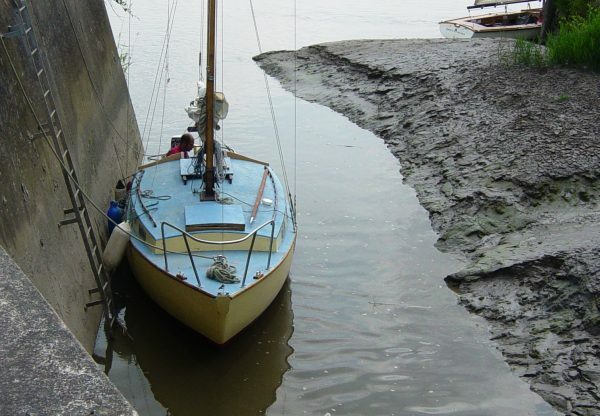 A ideal vessel for short handed coastal and estuary sailing or first time purchase. 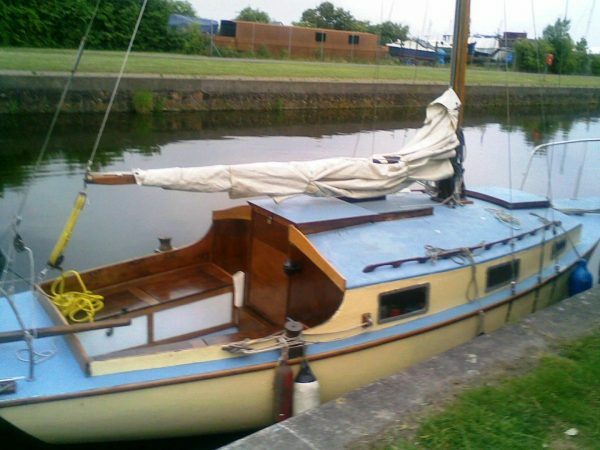 A straight forward, uncomplicated means of getting afloat at a modest cost.